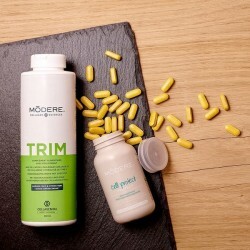 PRODUCT COLLECTIONS, Favourite products and great savings too. 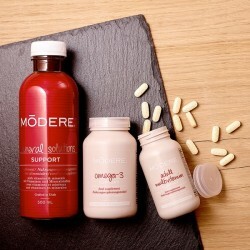 Our product collections are masterfully matched and designed to create a one-of-a-kind experience catered to you. 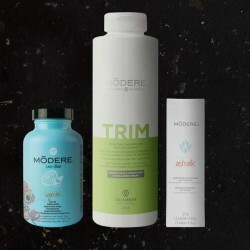 Great value and the perfect gift for any occasion. 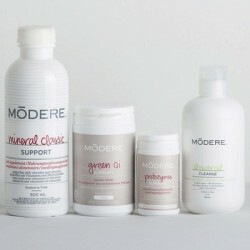 Modere Collections There are 11 products. 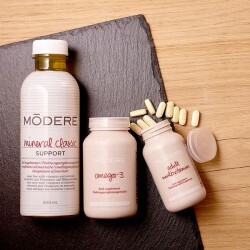 Bathroom Collection Modere The Bathroom Collection enhances and improves your appearance with products designed to beautify, cleanse, and renew. 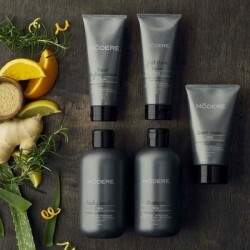 Men's Care Collection Modere Be a better man with this collection of products developed specifically for men and the bonafide man lifestyle. 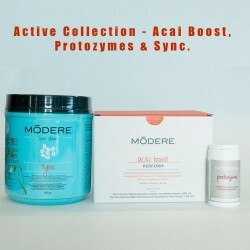 Active Collection - Acai Boost, Protozymes, Sync. 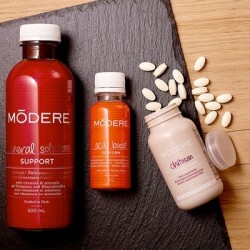 A trio of Modere nutritional supplements to support an active life.